He suffered only one loss, won the pride of his native Mexico and dazzled opponents with superior skill like poetry in motion. But his life was short like haiku – exactly 35 years ago today Sanchez died in a vehicle accident at only 24 years of age. Sanchez’s early death undoubtedly raised his legend in a very James Dean-ish way; his detractors will argue that his legend stems more from his aura than his considerable potential. When you consider the intangibles of boxing, it’s admittedly ridiculous to speculate. My own ridiculous view follows, for whatever it’s worth. On such an anniversary, I might not be the only one airing them. 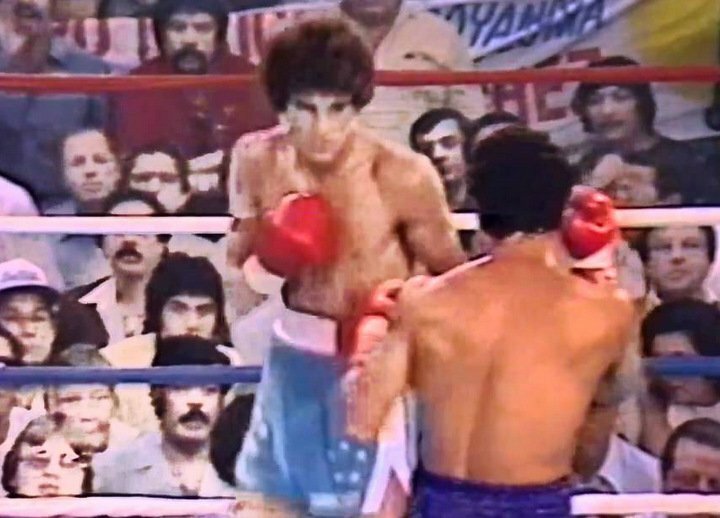 At the time of his death, his two likeliest fights were rematches against Puerto Ricans Juan LaPorte and Gomez. I’d wager that neither could have beaten Sanchez in the rematch for the same reasons they couldn’t beat him the first time out, although LaPorte admittedly shocked the boxing world with his impressive performance. Hall-of-Fame featherweight Eusebio Pendroza held the WBA title alongside Sanchez, making 19 defenses from 1978 to 1985. Likewise, Sanchez also could have fought legendary Irish featherweight Barry McGuigan, who later took the title from Pendroza. Both entertaining matches to be sure. And of course, one must also consider Jeff Fenech, who would have been a featherweight within this imaginary Sanchez’s life. That would have been an interesting fight for sure, seeing as Sanchez would have been at the tail end of the hypothetical career I’m giving him. So who could have beaten him? I’m putting my money on Azumah Nelson, despite Nelson’s previous loss to Sanchez. And why do I think so? That’s because no other man had such an amazing post-Sanchez record. To put this in perspective, Nelson had a 13-0 record at the time he fought Sanchez. By the time Nelson retired in 1998, he had 17 title defenses alone. Few other men have done so little prior to the world title stage, yet done so much after entering it. Nelson’s pre-Sanchez record came from journeymen and debut fighters who couldn’t have prepared Nelson for a world champion. Yet Nelson gave Sanchez one of the toughest fights of his career. Overall, Nelson’s reign was marred only by a loss and a draw against Jesse James Leija, as well as a failed attempt to become a 3-division champ against lightweight Pernell Whitaker, another Hall-of-Fame fighter. Would a far more seasoned Nelson have presented a stiffer challenge? Pure speculation of course, but I think there’s definitely some logic behind it. I also question whether Sanchez could have fought at a higher weight; talks were already underway for him to fighter Alexis Arguello. And when you have an unusual build like Sanchez did, you have to be careful how much extra weight you add. In this case, I see Erik Morales as the likeliest comparison to Sanchez. But again, it is ridiculous to speculate – and tragic that we’ll never know for sure.